We encourage you to buy CSI Membership. This helps us to keep the admission costs of the events as low as possible. We thank you for your co-operation. 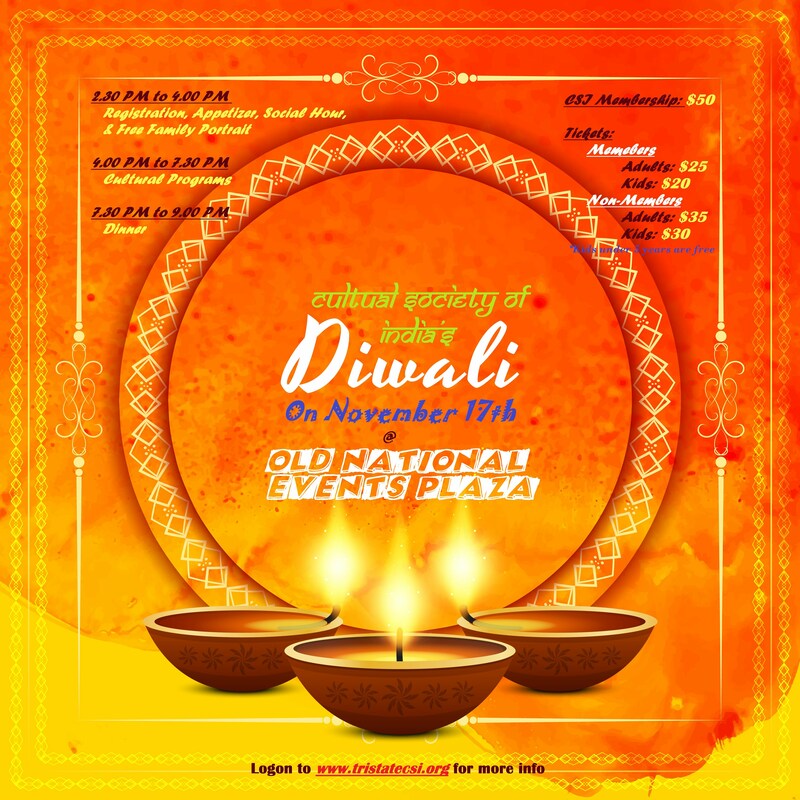 Please use Membership buttons below to purchase Diwali admission tickets, only if you become a CSI Member, otherwise use Non-Member buttons. Note: Online Ticket sales has been closed. The tickets are still available at the venue, they will be $5 more than what is below. *Students can use membership button to pay for the admission tickets. Valid Student ID must be presented at the registration. *Kids under 5 years are free to attend. *Please contact tristatecsi@gmail.com, if you have any questions or concerns. *Note: Ticket prices will be increased by $5 after 10-Nov-2018. © Copyright Tri-State CSI 2017. All rights reserved.